Leftovers from development? I recall that people also heard music from Mexico when they were there, so I wonder how much was ported over? It's so annoying. No matter WHERE you are in NA as long as you cross the imaginary line, God gives you 3 warning shots before insta killing you. Is it new voice acting, or do we hear Jack say these things in RDR1? Yep. Around Rio Bravo and Lake Don Julio I hear some of the Mexico music play. Doesn't sound like RDR1 Jack. It's definitely the characters voice but its not exactly the same as Josh braylock's. There's a point in the launch trailer where Sadie says "Do as you're goddamn told" and there was a wagon behind her full of explosives. Could it be from the same mission where you destroy the bridge with John? It's possible it's the same voice actor he might just sound different or they told him to make his voice different. 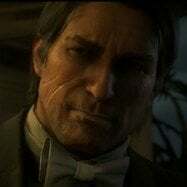 Rob Wiethoff has a raspier voice in RDR2 than RDR1 for John. Could be due to age or I don't know maybe he smokes. Same for Robert Bogue when voicing Red Harlow in the Legends and Killers Pack he sounds completely different even though he voiced Red in Revolver. It was a few years since 2004 but then again he's acting way different than Red in Revolver where he hardly spoke and had a calm voice meant to emulate the man with no name. In RDR1 multiplayer he's yelling insults and just sounds really different. The director told him to act that way so it could be that. Or I could be wrong and it just is a different voice actor. This is all from the same one guy who "somehow mysteriously managed to glitch his game"? A glitch that millions of other people playing this game haven't encountered? Color me suspicious. Are they both from the same guy though? Where’d the xbox one come from? Reading the thread the cell phone video and the clip are both from the same person. I'm skeptical about this too. I'm wondering how does this glitch happen anyway? 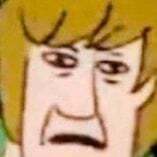 Also in one of the xbox one videos I hear John grunting and then he greets someone in Jack's voice. But the voice does sound different from Jack in RDR1 a little at least to me so I don't know what's up. Definitely don't know if it's real or not, but sometimes glitches do appear later on after a game's been released, sometimes after patches. In other cases, people might just not care enough to notice it. I had left the game on for a couple hours so John was just standing in his ranch. When I got back on I fast traveled to armadillo and the glitch happened when I got there. Notice how the audio distorts when Jack's voice is heard? 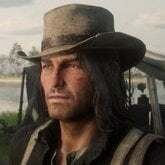 did anyone ever find out where the bill williamson with the shaved face picture is from that rockstar posted? You mean the location? If so it’s in Rhodes. Strange that they showed something that was cut out so close to release. I assume the other gang members was supposed to be able to shave themselves sometimes. i knew the location but thanks, i just wanted to know if at any point in the game he shaved it off at. thought i missed something. but agreed! John Marstons iconic hair! We cant use it. It feels like arthur gave his hairstyle in his satchel. Either keeping this feature until the next gen re release or were lazy and left it in as a bug like the missing props in the RAGE code that they REFUSE to fix for some reason. Dutch also has a very different voice in RDR1. In RDR1, it's smoother yet also more susceptible to crackling. In RDR2, it's much deeper and more rough. Reason 2: Catching the fish introduces you to special lake lures and is set up like a tutorial on how to catch legendary fish, which is strange as you can catch them during chapter 3. I agree with you. Not only that, but the blind wise man warned me about taking the veteran's horse into danger as early as Chapter 3. Funny enough, he said that to me right after my horse died and I was way early in Chapter 2.